These pages about porphyria were prepared in partnership with BIPNET, the British and Irish Porphyria Network, and the UK Porphyria Medicines Information Service, Cardiff. Porphyrias are a group of inherited metabolic disorders of the haem biosynthesis pathway, caused by a fault with one of the eight different enzymes involved. Haem is a molecule created by human metabolism and is used to build bigger molecules such as haemoglobin, myoglobin, and cytochrome. 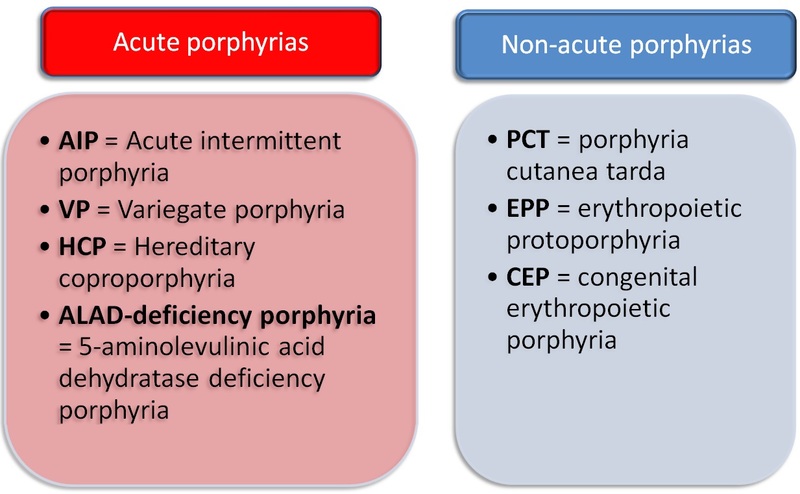 Porphyrias lead to accumulation of neurotoxic and/or phototoxic haem precursors, so these conditions are characterised by acute neurological and visceral symptoms ('neurovisceral crises') and/or skin lesions. It is important to understand the type of porphyria your patient suffers from, and in particular whether it is acute porphyria or non-acute porphyria. 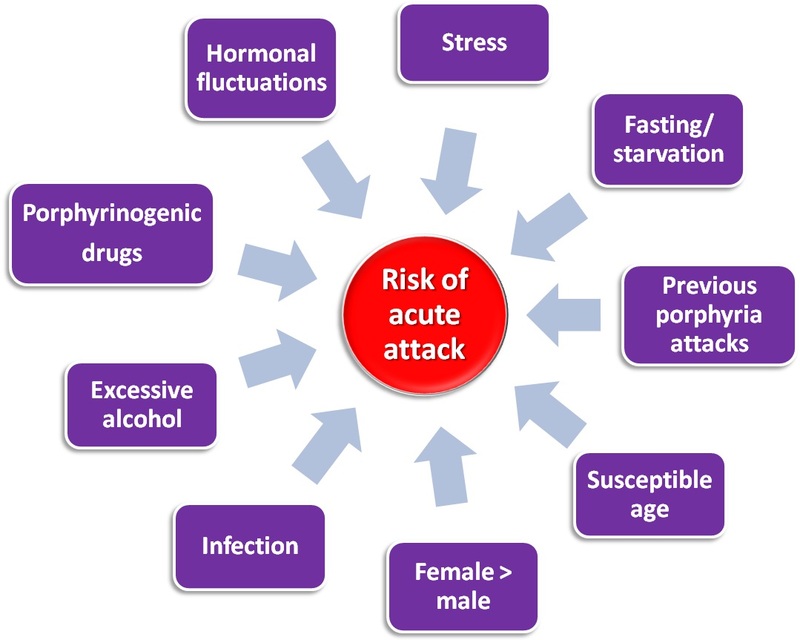 Early symptoms of an acute attack can include: tachycardia, acute severe abdominal pain, nausea and vomiting, constipation, peripheral motor neuropathy, and paraesthesia. This may progress to severe cardiovascular, neurological and psychiatric symptoms, and a progressive, irreversible neuropathy. Ultimately, this can be fatal.